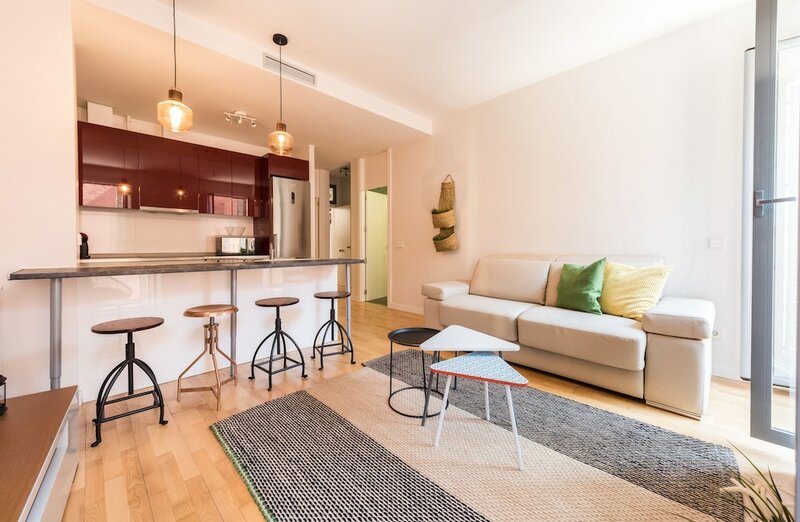 With a stay at Madrid SmartRentals Puerta del Sol, you'll be centrally located in Madrid, steps from Mercado de San Miguel and within a 5-minute walk of Plaza Mayor. This apartment is 0.6 mi (0.9 km) from Royal Palace and 0.6 mi (1 km) from Almudena Cathedral. Make yourself at home in one of the 17 air-conditioned rooms featuring kitchens with refrigerators and stovetops. Flat-screen televisions with digital programming provide entertainment, while complimentary wireless Internet access keeps you connected. Conveniences include microwaves and sofa beds, and you can also request cribs/infant beds (complimentary).